The Raspberry Pi, the $35 credit card-sized computer, has lived an interesting life despite being less than a year old. It has been used to teach programming and host servers, but above all it has provided a near-perfect platform for some of the most fun and interesting hobbyist projects in the computing world. Arcade cabinets, computing clusters housed in LEGOs, musical instruments, robots, and wearable computers are just some of the uses Pi owners have found. It turns out you can do a lot with an ARM processor, GPU, a few ports and GPIO pins, and an operating system (typically Linux-based) loaded onto an SD card. 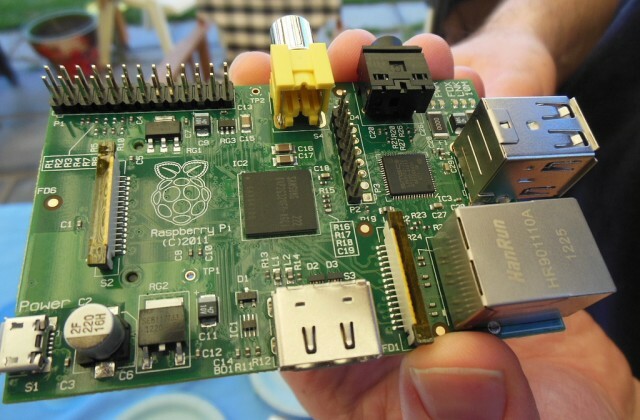 Here are 10 of the coolest Raspberry Pi creations we’ve been able to find. Lots of people have installed gaming emulators on the Raspberry Pi—not as many have used it to build an entire arcade cabinet. One such brave soul named Darren J described his epic MAME project in a guest post on the official Raspberry Pi blog last month.